The scalable Idaho map on this page shows the state's major roads and highways as well as its counties and cities, including Boise, Idaho's state capital and most populous city. To display the map in full-screen mode, click or touch the full screen button. To zoom in on the Idaho state road map, click or touch the plus (+) button; to zoom out, click or touch the minus (-) button. To scroll or pan the zoomed-in map, either (1) use the scroll bars or (2) simply swipe or drag the map in any direction. (The scrolling or panning method you use will depend on your device and browser capabilities.) At any time, you can display the entire Idaho road map in a new window or print this page, including the visible portion of the map. Idaho's Interstate Highways connect its major cities and facilitate travel between Idaho and its neighboring states. I-15 traverses eastern Idaho from north to south, between Montana and Utah; I-84 runs from western Idaho, through Boise, to southeastern Idaho. I-86 connects I-84 with I-86 near Pocatello. I-90 traverses northern Idaho from east to west, from the Montana border to the Washington border. I-184 is a short feeder highway that links downtown Boise with I-84. One of the best ways to view Idaho's scenic heartland is via a road trip north from Boise to the border of Montana. Also known as the Payette River Scenic Byway, Route 55 travels through the Cascade Reservoir and the quaint mountain town of McCall before merging into Route 95 North. Just past the town of Spalding, Route 12 takes travelers into Lolo Pass which is perched at an elevation of 5,233 feet, offering stunning views in all directions. 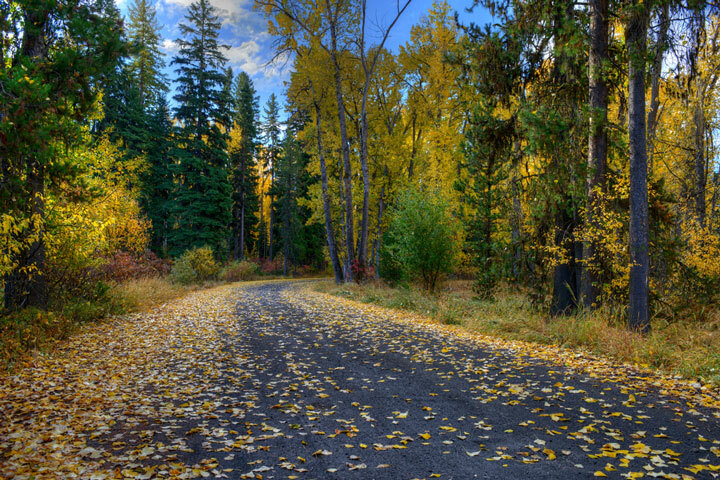 More information about scenic roads in Idaho is available on this Idaho Scenic Byways page. For more information about Idaho's roads and transportation infrastructure, visit the Idaho Transportation Department website. For Idaho road traffic conditions, visit the Federal Highway Administration's Idaho Traffic Information page. Idaho-Map.org is a State Maps reference source.